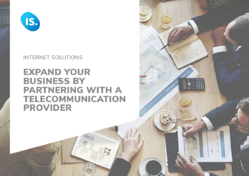 Find out more about why you should partner with a telecommunication provider. Collaboration between providers makes for a better system or infrastructure for your stakeholders and customers, and this bolsters business growth and boosts revenue. Telecommunication providers add ease and value to your work by giving you access to cutting edge technology and a far reaching network. Indeed, a solid wholesaler-retailer partnership makes good business sense.